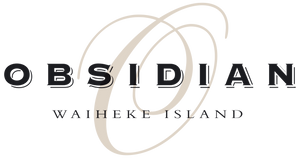 Free up your Thursday night on the 7th of June because Obsidian Wines and Glengarry Devonport are teaming up to put on a wonderful tasting night with our winemaker, Michael Wood, New Zealand's Winemaker of the Year 2017! Starting from 7pm at the Clarence Street store, Mike will be talking about his winemaking philosophies, the history of Obsidian Wines, and the 2018 vintage. You will have the opportunity to taste our most popular wines, including our famous Bordeaux-style blends, Syrah, Chardonnay and an exclusive pre-release wine not yet released to the public! This is a night you cannot miss, so click here to book your tickets - we'll see you there!